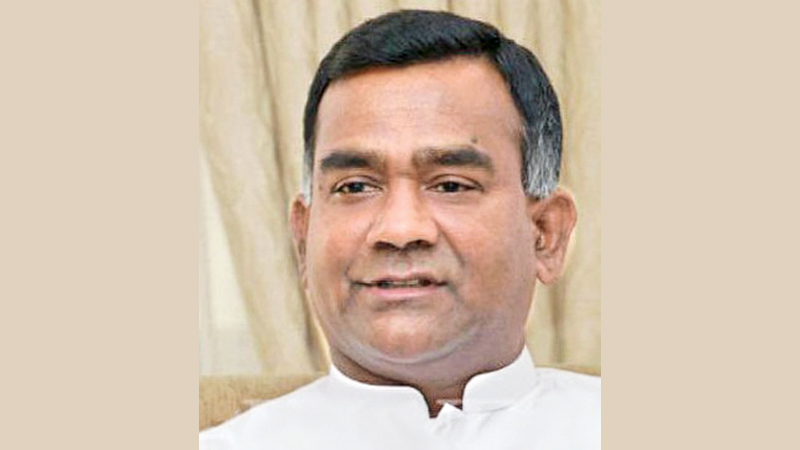 The Colombo High Court was yesterday informed through counsel that the President and the Prime Minister had agreed to terminate proceedings against former UNP General Secretary Tissa Attanayake, on the condition that Attanayake tenders an apology. The Attorney General had filed indictments against Tissa Attanayake for allegedly displaying a fraudulent document to the media during the last Presidential Election that was meant to affect the result of then Common Candidate Maithripala Sirisena. Deputy Solicitor General Dileepa Peiris appearing for the Attorney General informed that if the parties has reached consensus in respect of the incident that led to a complaint against, and the subsequent indictment of the accused and if the accused apologises, court can use its discretion to terminate the case. President’s Counsel Kalinga Indatissa appearing for Tissa Attanayake informed that the defence has written to the Attorney General to consider the possibilities of withdrawing the indictments filed against Attanayake following the new developments. The case was fixed for April 24 by High Court Judge Vikum Kaluarachchi and parties were directed to report on the progress of the settlement on the next calling date. Attanayake had been charged under Section 3(1) of the International Covenant on Civil and Political Rights (ICCPR) Act No. 56 of 2007. This is the first time in Sri Lanka an accused had been indicted in the High Court by the Attorney General over an offence that comes under the ICCPR Act. The Attorney General alleged that Tissa Attanayake had publicly announced on December 22, 2014 that there was a secret agreement between the then Common Opposition Candidate Maithripala Sirisena and UNP Leader Ranil Wickremesinghe. The Attorney General alleged Tissa Attanayake committed an offence under Section 3(1) of the International Covenant on Civil and Political Rights (ICCPR) Act No. 56 of 2007 by inciting racial or religious hatred among ethnic communities. Deputy Solicitor General Dileepa Peiris with Senior State Counsel Lakmini Girihagama appeared for the Attorney General. President’s Counsel Kalinga Indatissa with counsel Niroshan Siriwardena appeared for Tissa Attanayake. Counsel Lakshmi Jayawickrema appeared for President Maithripala Sirisena. President’s Counsel Nissanka Nanayakkara appeared for Prime Minister Ranil Wickremesinghe.